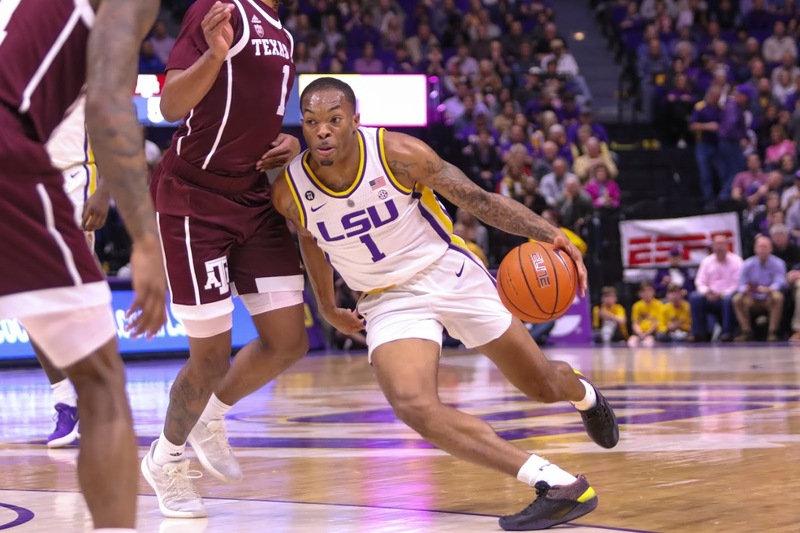 A fourth LSU basketball player announced plans to join the ranks at the next level on Thursday morning as freshman guard Javonte Smart made his decision to declare for the NBA Draft public via an Instagram post. Smart joins freshman forward Naz Reid, sophomore point guard Tremont Waters and junior shooting guard Skylar Mays as Tigers who have announced they will go through the NBA Draft process. “Becoming a Tiger was the best decision I have made in my life so far. Being with my brothers and LSU family has been a wonderful experience that I could never forget! Boot Up! 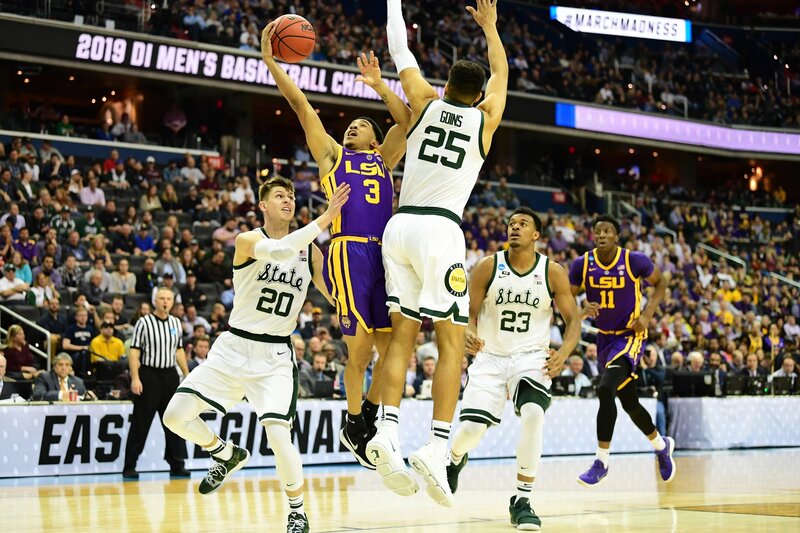 Smart, a Baton Rouge native and product of Scotlandville Magnet, helped lead the Tigers to a Southeastern Conference regular season title and a spot in the Sweet 16 averaging 11.1 points, 3.3 rebounds and 2.3 assists per game, primarily off the bench. He became the subject of a whirlwind news cycle of controversy just more than a month ago when his name was seemingly mentioned by LSU head coach Will Wade in a wiretapped conversation with convicted college hoops middleman Christian Dawkins. As a result of the report from Yahoo Sports, he and his family investigated by the university and he sat out of the Tigers’ regular-season finale against Vanderbilt in which they clinched their SEC Title. He returned for LSU’s SEC Tournament game against Florida and went on to play in all four of the Tigers’ postseason games. Due to new rules implemented prior to last season, Smart may retain an agent and go through the NBA pre-draft process with guidance from that agent and still return to LSU if he so chooses. The deadline to make that decision will be May 25, 10 days after the NBA Draft Combine. REPORT: LSU, Wade to meet, end month-long standoff. Former Tiger hoops coach John Brady – who won 192 games from 1997 to 2008 at LSU, with two conference titles, three divisional titles, two Sweet 16s, and a Final Four – is back on the sidelines, teaming up with the Voice of the Tigers, Chris Blair, as the color commentator on basketball broadcasts. 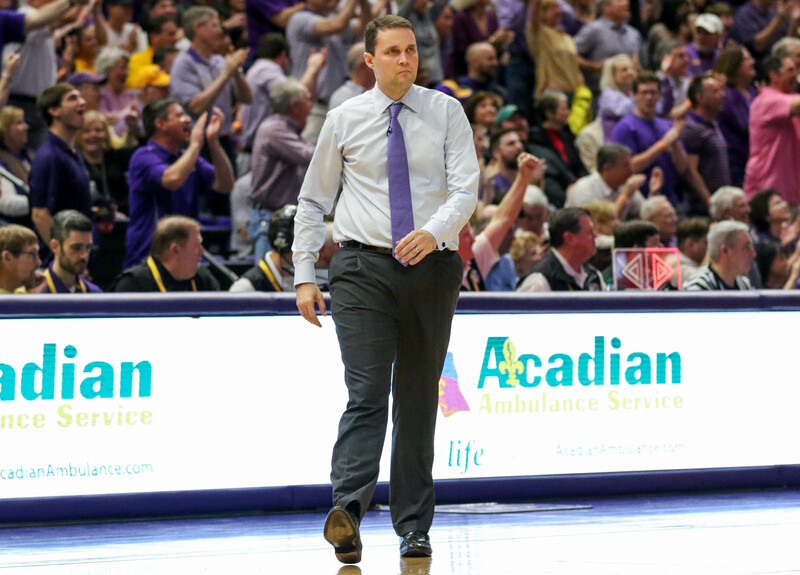 Brady, nearly 10 years removed from coaching his last game in the Pete Maravich Assembly Center, sat down with Tiger Rag to talk about his new gig, the emotions of returning to LSU, and his thoughts on the past, present, and future of Tiger basketball.